Mini-Tram Brighton, originally uploaded by david.sewell46. 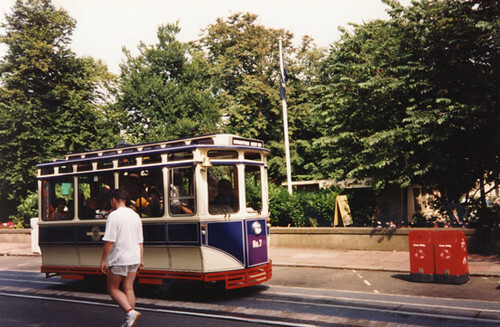 This mini-tram was on trial in Brighton in 1994. An example of the Parry Peoplemover, it came to nothing and the streets are still choked with cars.